Major Nelson has today announced that a demo version of the upcoming highly anticipated Lego Star Wars The Force Awakens game has been made available on the Xbox One console, allowing those interested to check out what they can expect from the game before parting with their hard earned cash. Check out the trailer below to see 11 minutes of gameplay to provide a taste of what you can expect from the Lego Star Wars The Force Awakens game which will be officially launching later this week on June 28th. Lego Star Wars The Force Awakens will be available to play on PC, Nintendo 3DS, PlayStation 3, PlayStation 4, PlayStation Vita, Wii U, Xbox 360 and Xbox One. Be the first to play LEGO Star Wars: The Force Awakens! Download the demo today to join Rey, Finn, and BB-8 as they evade the villainous First Order. Engage in Blaster Battles with Stormtroopers, use Multi-Builds to race through Niima Outpost, and dogfight with TIE Fighters through derelict Imperial Star Destroyers in the Millennium Falcon before escaping Jakku! 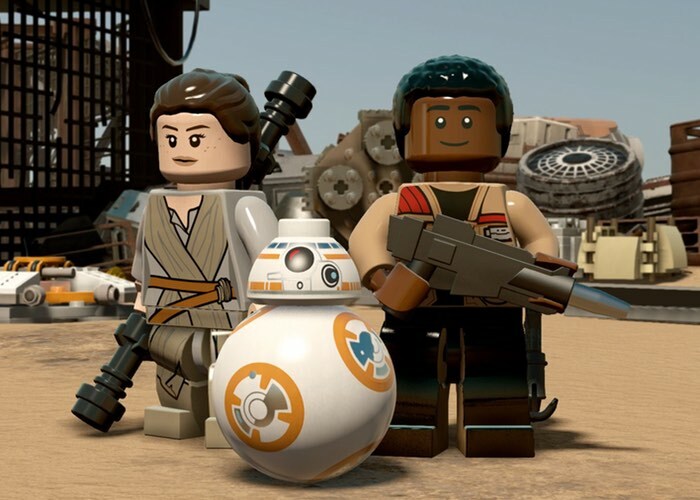 The gameplay of Lego Star Wars: The Force Awakens is similar to previous Lego video games. New systems are introduced, including Multi-Builds, a new system that grants players access to various building options, which can be destroyed and rebuilt, in the brick-building sections of the game, allowing them to open up new paths in the game’s world.